Have you ever done anything really, really stupid? You're not alone. These books are about other people who did really stupid things-in public-and what happened as a result. What do customs mean in a given culture? 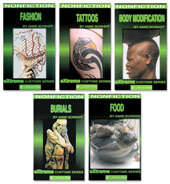 This high-interest nonfiction series takes a look at the origins, practices and meaning of body modification. Travel to ancient Egypt and explore the facts and mysteries of pyramids, mummies, hieroglyphics, ancient rulers and the Rosetta Stone. 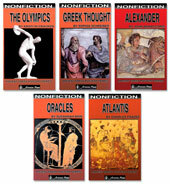 Let the history, legends and myths of ancient Greece capture your students' imagination, from Alexander the Great, The Olympics, Oracles, Greek philosophy, and Atlantis. When a crime occurs, highly trained crime scene and forensic investigators arrive on the scene to analyze what’s left behind. 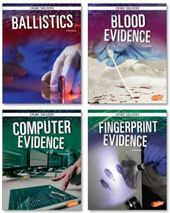 Learn how these investigators use scientific processes to get information from fingerprints, ballistics, digital evidence, and blood samples. The animal kingdom is filled with some wild creatures. From great white sharks to mole rats, this series provides an up close look at some of the world’s most extreme animals. 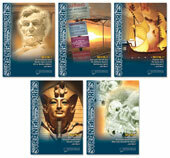 Each book in this series features measured vocabulary, fascinating facts, clear text and formatting, and compelling photos. Fact of Fiction? Real or unreal? Let your students decide. The people, places, and things in these story collections range from the peculiar to the preposterous. 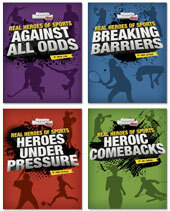 Real Heroes of Sports presents the inspiring true stories showing young fans the best side of sports. Nailed It! 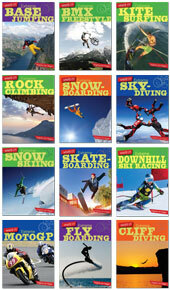 presents the thrills and spills of the most intriguing extreme sports. 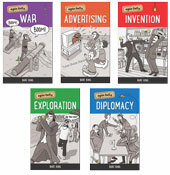 This series features carefully written, considerate text about interesting and unique occupations that provide a high level of interest combined with a low level of complexity for struggling readers. 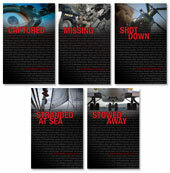 Each title contains six to eight stories, black-and-white photos, fact boxes, a glossary, time lines, and maps. One of the largest growing music genres, hip-hop has influenced our modern day culture in many ways. These 48-page full-color biographies feature the most well-known artists in the hip-hop community. 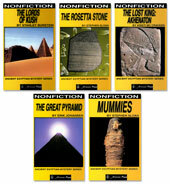 Each biography is written at a low reading level, so that even the most struggling reader can access the material.